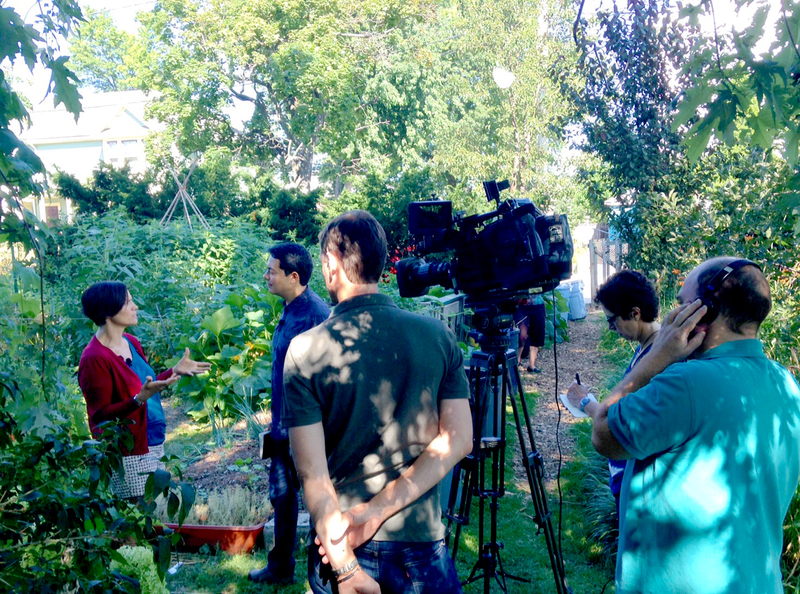 People come to City Farm to learn about regenerative growing practices that restore balance to the natural landscape. Others go there simply to work with their hands to do good. For years, volunteers and interns have been inspired by their experiences to give back in creative ways. 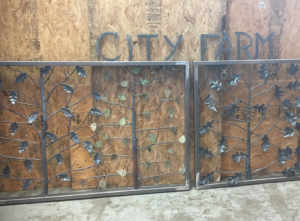 City Farm recently received two new pieces of artwork: a decorative metal gate on Providence Street and two handsome wooden benches in the middle of the Farm. 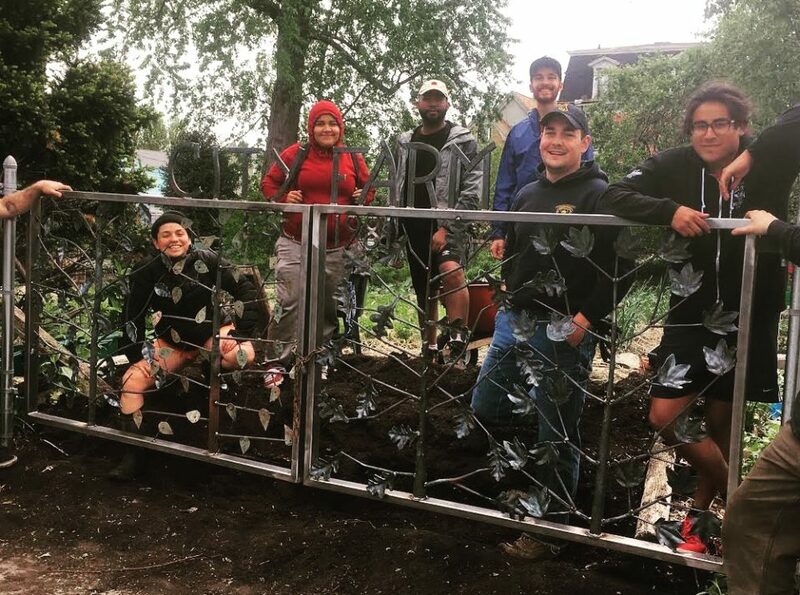 The gate was designed by Sean O’Brien, a former Providence College intern and 2010 City Farm apprentice. He now runs Idle Hands Industry, a Providence fabrication, repair and forging shop. The overall project was a collaboration between Idle Hands and The Providence Hammer, a blacksmith studio, fabrication shop and teaching facility in East Providence run by Nick Tomlin. You can see more of Sean’s and Nick’s work at Sean’s website, idlehandsindustry.com, and on Instagram @idlehandsindustry and @theprovidencehammer. 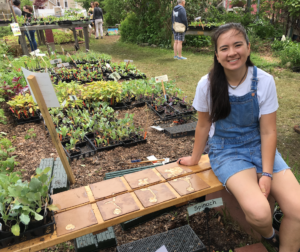 The wooden bench above was made by Mikaela Karlsson, a recent Brown University graduate who interned in SCLT’s development office this past year. In her Design Studio class she learned how to operate a laser cutter to cut out and engrave SCLT’s logos onto the bench seats. (She used the same process on the wood signs at the Plant Sale checkout lines.) The benches are located right in the center of the Farm. They invite people to take a load off and appreciate its beauty, and remind staff of Mikaela’s time with us. Hopefully, she’ll be back to visit now and then. Check out what others have to say about us! ©Southside Community Land Trust is a nonprofit organization in the State of Rhode Island.